A Very Prophetic Novel Subject to Interpretation! 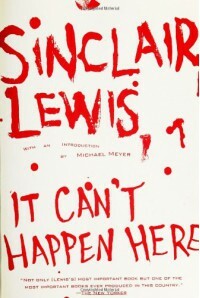 It Can’t Happen Here, Sinclair Lewis, author; Grover Gardner, narrator The time is 1936. The Depression is a nightmare memory which has changed the mood of the country. There is political unrest, a charged atmosphere of distrust for government officials, anger at rich corporate giants, and a general somber malaise is hanging over America. Political candidates represent the people’s fears, and one in particular appeals to their emotions by stressing the idea of helping “the forgotten man”. Although there are those that find his diatribes unbecoming, because of his racist and anti-Semitic remarks, there are more who seem to be glomming on to his message of hope and equal, economic opportunity for those who feel left behind. Socialism, Fascism, Communism and Capitalism are on the radar of all voters. Which ideology will be chosen in this country overrun by opinion and nationalism, where certain groups of people are being vilified and ostracized and others praised as more worthy? Each major party accuses the other of wrongdoing, of being fascists. In the novel, Hitler is becoming more popular in Europe and in America where FDR is facing a myriad of other Presidential pretenders. When the Socialist Brezelius Windrip defeats him and is elected President, there is disbelief. Soon, all Hell breaks loose as he begins to change the face of the country. He wants to give everyone $5000 a year as a minimum, standard wage, (but he doesn’t. He makes promises to promote health care and provide free education. He offers pipe dreams that cannot be fulfilled, and when he is swept into office, with a country divided for and against him, he merely eliminates his detractors using his volunteer band of supporters called Minute Men. He immediately arms and begins to pay them. They eagerly remove those who defy him, by any means they choose. Congress and the Supreme Court Justices are arrested. The M.M.’s, as they are called, are thugs who indiscriminately and gleefully used their power to brutalize and abuse those who formerly had power over them. Windrip used old venerable institutions of education as prisons and created concentration camps. By eliminating those that would not acquiesce to his demands, by putting them into work camps or murdering them after using barbaric methods of torture to get them to confess to crimes or rethink their positions, he gained more and more power. Rebellion was almost impossible as it was easy to suppress. When some well known and respected citizens were arrested and killed for no apparent reason, few protested lest it happen to them too. Racist and anti-Semitic laws were passed. If one disobeyed, arbitrary punishment and horrific methods of torture were used. Windrip’s minion’s brutality rivaled Hitler’s. As people came to their senses, realizing that no one was safe from the whims or wrath of these ill equipped leaders and military men, some attempted to rebel. Journalists began to realize that they might have helped this man get into office and they tried to remedy the situation with editorials. They were quickly silenced, arrested and/or eliminated. No opposition was tolerated. An underground effort formed to help victims of the brutality escape from the country, but the borders were well guarded. Some got to Canada, which was predictive of a time decades later when resisters of the Viet Nam War crossed the border. Soon, there was unrest at the highest levels of government. After a little over two years, Windrip was betrayed and overthrown by his friend and confidante, Secretary of State Lee Sarason. A month later, Sarason was murdered by the new Secretary of State, Dewey Haik who took over and consolidated power even further and was even more ruthless. What kind of a country would the United States become after all was said and done? Which group would emerge victorious? Who were the culprits causing so much dissidence in the country and suspicion of the government? Was it the rich, the corporations or the ignorant who were hungry for power and equality even though they actually were not prepared to handle the authority given without abusing it? Sinclair Lewis never really provides an answer. The book condemns Fascism and Communism but really does not offer a better alternative when it ends, leaving the resolution of the rebellion unfinished. The book was prescient since WWII and its atrocities were not in full swing when it was published. Still, there must have been more of an awareness of Hitler’s vicious policies than I had believed, because many forms of cruelty and maliciousness used by Hitler were arbitrarily practiced in the concentration camps of Lewis’ imagination. Most of the current reviewers are saying this book describes a political climate like our own today, and they proclaim it laid the groundwork for the election of Donald Trump, a President they do not support. It is a well documented fact that the media is biased against him because of his unsophisticated and often immature retorts to their criticisms; also the publishing industry, as well, falls into that category of progressives who do not approve of his election. It is also a fact that these very same people supported one of his opponents, overwhelmingly. This opposition seems to be largely responsible for creating the same atmosphere today, that Lewis wrote about in 1935. They call for resistance to the President for the same behavior they are even more guilty of and are therefore hypocrites, hiding behind an emotional appeal to people who wish to remain ignorant, in the same way as Lewis’s characters did, at first. That said, anyone who followed our recent election would realize that Bernie Sanders, the Socialist Senator who represented Vermont, was more closely related to Berzelius Windrip than Donald Trump. Sanders offered free education to all and wished to impose a mandatory salary for everyone, as well. However, Sanders was against the power of big corporations, so in that way he veered from Windrip who used them to further his agenda. Sanders wanted to represent those who felt they were getting short changed. Trump wanted to represent those who were being ignored. The continued practice of presenting only negative views, without addressing anything positive about the President’s achievements, may very well set the stage for something like “It Can’t Happen Here” to actually “Happen Here!”, especially if people remain complacent or simply behave like lemmings, taking as doctrine the false statements made, simply because they fit their narrative. The book was excellent, but the reviews seem contrived in order to promote the particular political point of view of the reviewer, namely the progressive or socialist one of the extreme left. 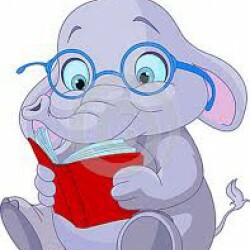 Just like in the book, our own cast of characters is blown this way and that by the different politicians and their speeches. Our most powerful and famous personages use their bully pulpit to make wild accusations, often without any basis in reality, just because they can’t deal with, or simply refuse, t,o accept the facts. Could someone, like Windrip slowly commandeer power by eliminating individual choice, speech and freedom? The media today has taken to pointing fingers at Trump to make him appear frightening. If they continue to sow dissent and discontent, perhaps there could be someone like that, but it isn’t Trump. His agenda is in no way like that of Windrip’s. Still, it is horrifying to contemplate how easily and quickly a country could be corrupted by a leader who harbored hateful, despotic plans and who had the support of a ready military organization behind him/her. Occasionally, it felt like there was a bit too much dialogue in the audio version, so I believe that, the book should be read in print in order to get the most out of it.